Koch Twintone III head overview. The Twintone mark III has been restyled and has also been partly redesigned and improved. Naturally, the best features of the Twintone I and II have stayed. 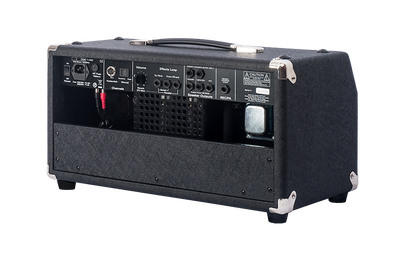 Its compact size and relative light weight, disguise the power, versatility and ease of use this amplifier has to offer. 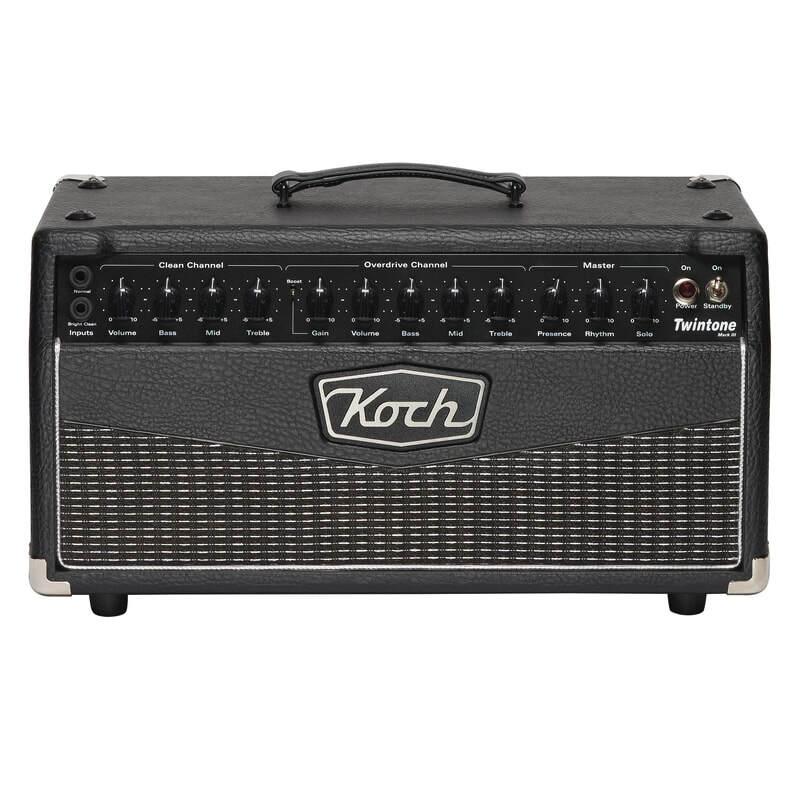 Two EL34 Power Tubes supply 50 watts of power which can be used to drive any of the Koch extension speakers. 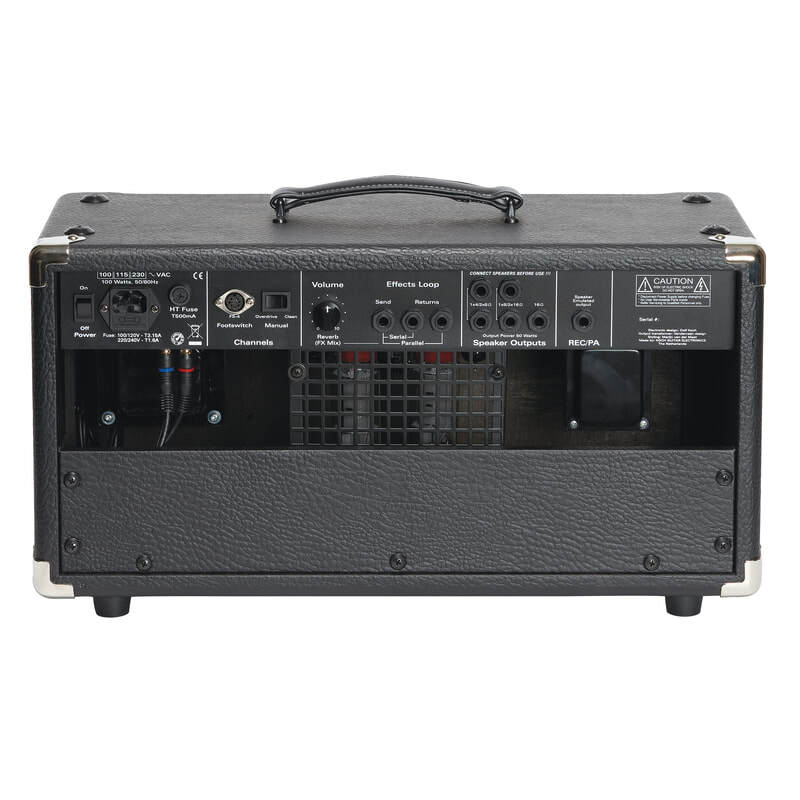 The Twintone III has five speaker jacks for connecting 4, 8, and 16 Ohm speaker cabinets. The superb sounding ‘Clean’ channel has not been changed in this new version and will give you the same wonderful warm and crystal clear clean sounds you are used to. The Overdrive channel, however, has been re-voiced. The crunch and lead channels will give you a more complex and richer gain structure without losing its definition and depth. With these two channels you can go from a pristine clean sound, through exciting ‘crunch’ tones, up to saturated overdrive with infinite sustain. The ‘Bright Clean’ guitar input trims the mids somewhat for humbucking pickups, and makes sure the pure tone of the Twintone III is available for all types of guitar pickups. Also new are the two separate foot-switchable Master Volumes on the front panel: Rhythm and Solo Volume. The Presence control has been relocated from the Overdrive channel to the poweramp section. This creates a more authentic sparkle when turned open, and it now operates on both the Clean and Overdrive channel. 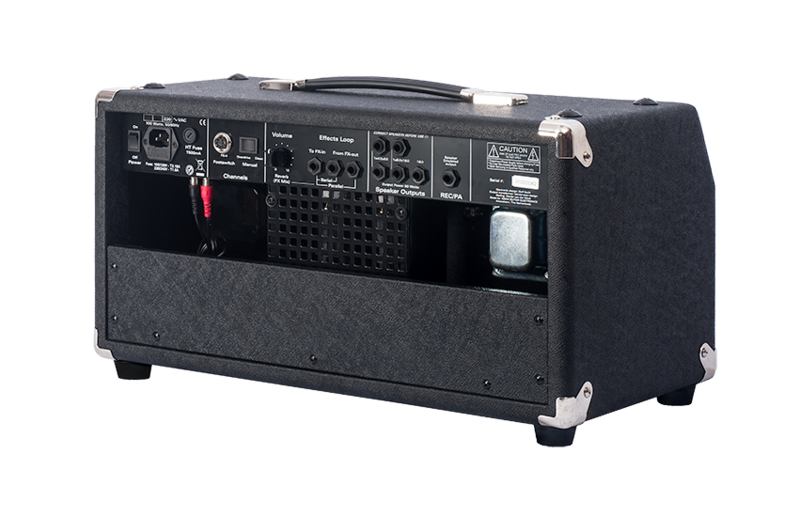 The long tank spring reverb has a level control on the back panel for just the right amount of effect. Naturally, the amp still has its recording output of which the filter has been improved. The output now offers true speaker- emulation for great authentic recording of your favorite guitar sound. Koch Twintone III head specifications.